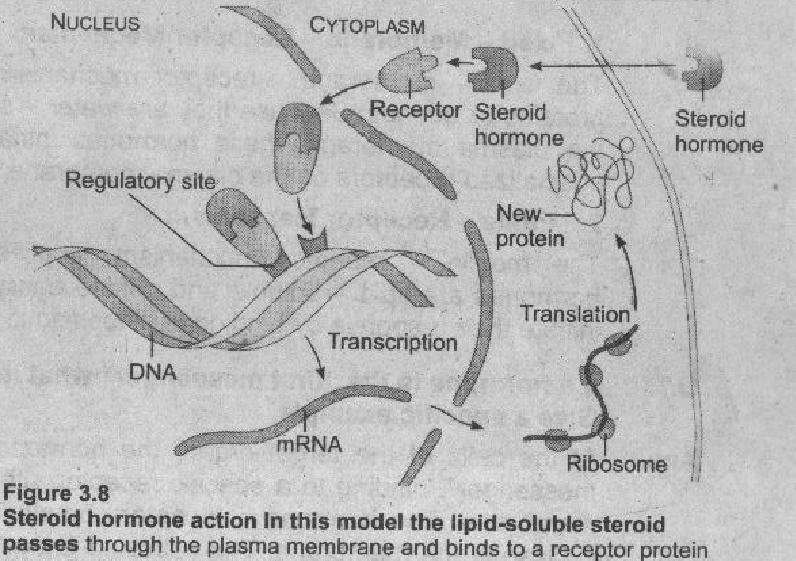 Steroid hormones stimulate the protein synthesis, because steroid hormones pass easily through the plasma membrane, their receptors are inside the target cells. 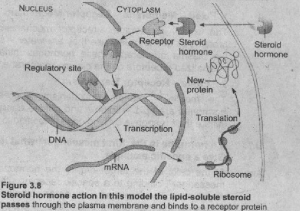 After being released from a carrier protein in the blood stream, the steroid hormone enters the target cell by diffusion and binds to a specific protein receptor in the cytoplasm. This newly formed steroid- protein complex acquires an affinity for DNA that causes it to enter the nucleus of the cell. where it binds to DNA and regulates the transcription of specific genes to form messenger RNA. The newly transcribed mRNA leaves the nucleus and moves to the rough endoplasmic reticulum, where it initiates protein synthesis. Some of the newly synthesized proteins may be enzymes whose effects on cellular metabolism constitute the cellular response attributable to the specific steroid hormone. Fig. 3.8. Why were the first hormone probably neurosecretions? The first hormones were probably neurosecretions, because in many metazoan phyla, the principal source of hormones is neurosecretory cells-specialized nerve cells capable of synthesizing and secreting hormones. Their products, called neurosecretions or neurosecretory hormones, are discharged directly into the circulation, and serve as a crucial link between the nervous and endocrine systems. 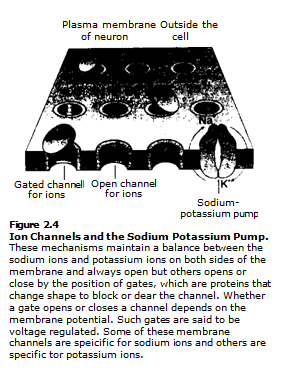 Home » Zoology » What kind of hormones stimulate protein synthesis In a cell?